1. Joseph: The Godly man. Joseph did not have to take Mary with him. Joseph wanted to spare Mary the experience of being pregnant at home. Joseph wanted to be by Mary's side, when the baby was born. Joseph was all in. We have the record of Joseph's actions. Actions always speak louder than words. Joseph was a man who did the right thing. Joseph is a great example of a Godly man. A lot has been said about Mary. We also marvel at the man that God chose to be Mary's husband and become Jesus' parent. This man was given the assignment to watch over and parent the most important baby ever born. In our time today, there has been an assault on parenthood and fatherhood in particular. It is hard to find a healthy and nurturing instructive picture of fathers in our western culture today. Parenting is often seen as optional and fathers are jokes. In the Bible, fathering is of utmost importance. Fathers are highly valued, esteemed and honored. Fathering is such a big deal, to God, that one of the three of the Trinity of God is called Father. Father is not a man, but God The Father has the essence or the role of being the Father. Fathers and mothers, fathering and mothering: parenthood, is very important. Moms and dads are key roles in the world. The absence, downplaying, negligence and opposition of parenting is part of the negative plan for the destruction of humans by the enemy of God. The highest calling is to be a father. And the greatest mistake a man can make is to neglect his children. The tragedy of our time, is the lack of fathering. Fathers and fatherhood has been torn down and bashed so much that we have forgot, as a society, or lost the art of fatherhood. A major plan of the enemy has been to disconnect fathers from sons and daughters. And the last days ministry of God is to reconcile the hearts of fathers to the children. God sent an angel to announce Jesus birth to people who were humble. The meaning is that God is no respecter of persons. There is a spiritual principal that says that God resists the proud, but gives grace to the humble. Many things make us proud and end up being trappings and cause us to be resisted by God, because of our pride. 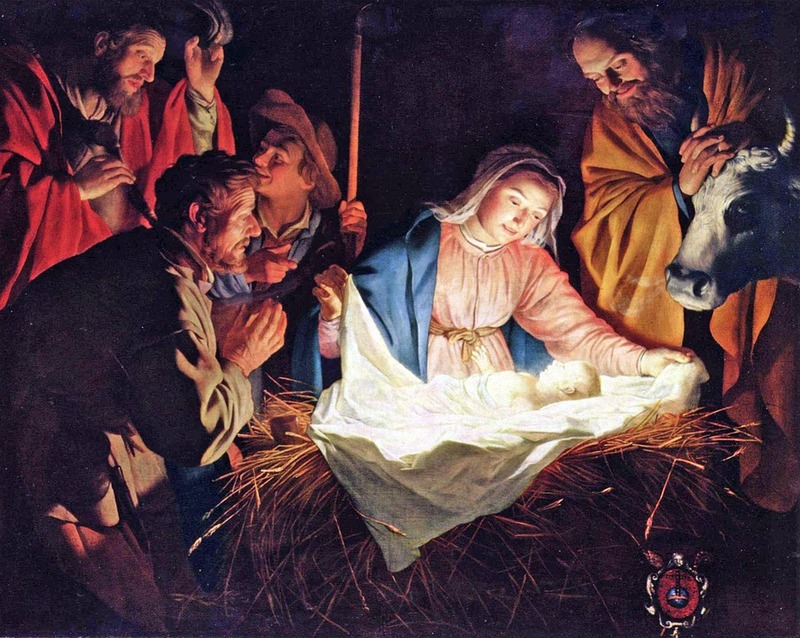 The meaning of the shepherds in Jesus birth story is that God gives grace to the humble. 3. The message that Jesus Saves. The reason that Jesus came was to save us. He saves us from sin and the Devil and from our selves. Jesus did not come as a teacher, but as a savior and deliverer. This is what Messiah does: save and deliver. When we become Christians, that means we got saved. We have received and are partaking of the salvation of God that has come in Jesus, who is the Christ, Messiah and Lord. And this is what it means to be a follower of Jesus Christ. Jesus is not just a teacher who had students who learned to live a certain way. He did and does teach, but he teaches us to be saved by knowing with him and letting God into our lives and living now in and through him, in his salvation and deliverance. Jesus saves through saving us personally. His work is not a mental learning or a philosophical understanding. His saving and delivering us is completely personal and intimate. Jesus saves is all relational and none religious. Christians ask each other, "have you been saved?" The answer is, "yes, Jesus is saving me". Then we work out our salvation together and in Christ. This is all part and parcel of the good news. and peace on earth to people He favors!.. ...The shepherds returned, glorifying and praising God for all they had seen and heard, just as they had been told. It is always good to praise God. Angels are messengers and praisers. If you or I carry the message, we ought to also be praisers. God is glorious and God gets glorified in what God does. And we say, "glory to God", giving God glory. In the glimpses we get of heaven, we often see worship. When we worship on earth, we are joining in with the worship going on in heaven. Praise to God goes hand and hand with the announcement of Jesus birth. It is natural to praise God after proclaiming the good news. 5. Immediately act on what you hear. When we get a revelation, we should immediately act on it. If we are told to do something or told that this opportunity is happening now, we need to go now. There is a principal in that when we put things off, they just do not happen. Even if the thing to do is hard, we have to go in that direction, if we are ever going to get the thing we have been told about. I have found that taking the first step or making a move in whatever direction is what must be done, if the thing will ever get done or accomplished or experienced. When opportunity knocks, we must answer the door. When do not, it becomes a missed opportunity. It is always better to answer the door and have it not work out or be disappointing, than to not answer. As momentous as the news was of Jesus birth, there is a chance that if the shepherds had not acted immediately, that they would have gotten busy and distracted and never made it to seeing Jesus. When we do not act when there is an opportunity, we lose and the other people sometimes lose, that would have been blessed by your seizing the day. 6. Share your testimony: what God is doing and what God has done in your life. The main way that the good news gets spread and planted to and in other people, is through each one of us. So, share the good news. Gospel means good news. We each share the good news of what God is doing in our lives. We each share with others what we have seen and heard God doing. There is a time to teach, but all the time is the time to share. Sharing does not require of us to take the time to study up and prepare. We just share what God is doing, what we have seen and heard. Each one of us are living letters of God's goodness and intention. Let me tell you what the Lord has done for me. Let me tell you what I saw God do today, yesterday or last week. I might even want to tell you what I saw God doing in someone else's life today, yesterday or last week. There is a time to sit down and tell your whole story. But often, people do not have the time or the attention span to hear the whole thing, although there are many who do have that and want to hear it all. We have to be careful not to over share and not to over stay our welcome. The normal conversation of believers is this topic of what God is doing, what he just did or what I found out about God. And there is good news in the bad news. Life means loss and disappointment, but God is in that too. We have a God who is in our happy stuff and our sad stuff, who we celebrate with and grieve with. Christians have the experience of Christ, who is God, in everything. He is Emmanuel, God with us. 7. We need to learn to treasure our good experiences of God up and into our hearts. In the ancient times, most people did not have note books. Instead, they would have to memorize things. Luke tells us that Mary took in all the experiences surrounding Jesus birth and preserved them in her heart. She treasured them up. While others were talking, being amazed and sharing; Mary was memorizing. She was using her mind to preserve these precious memories. Since Luke was not there, Mary may very well have been Luke's primary source, when he later wrote his gospel. Two people can go through the same event. Later, one remembers in vivid detail, while the other almost forgets the whole thing. Perhaps the one who remembers, took the time and made the effort, while it was happening, to treasure up and preserve the memories. If we learn how to remember good things, by meditating on them as they unfold and preserving them; then we can be encouraged and encourage others, later, by recalling the memories.